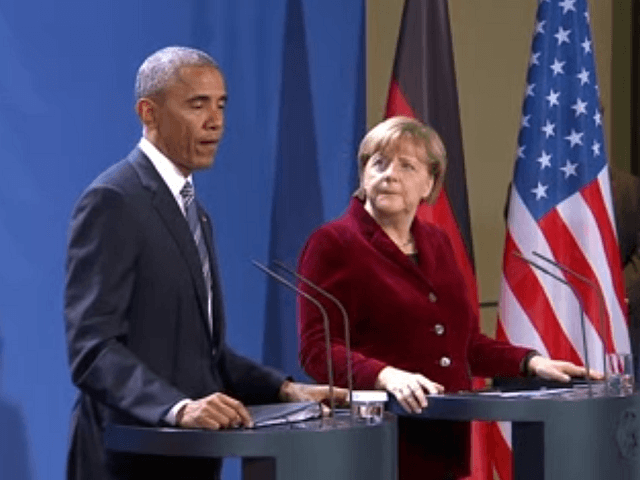 Speaking at a joint press conference with outgoing American President Barack Obama on his farewell tour, German Chancellor Angela Merkel made chilling remarks about her views on the need for government to control the internet and slammed anti-Islamisation protesters who she accused of hijacking the German spirit for liberty. “Digitisation is a disruptive technological force that brings about deep-seated change and transformation in society. Look at the history of the printing press, when this was invented what kind of consequences it had. Or industrialisation, what consequences that had.